One of the incarcerated rapper’s best-loved songs will soundtrack his city’s appearance at Super Bowl LII. The Philadelphia Eagles have selected "Dreams And Nightmares" by Meek Mill to play as the team takes the field to play the New England Patriots in Super Bowl LII on Sunday, February 4. The team's defensive end Brandon Graham gave NFL.com a fairly straightforward (and inarguable) reason for the song's selection: "If you're going to go with a Philly song, that's the one you're going with." "Dreams And Nightmares" has become a staple of the team's. 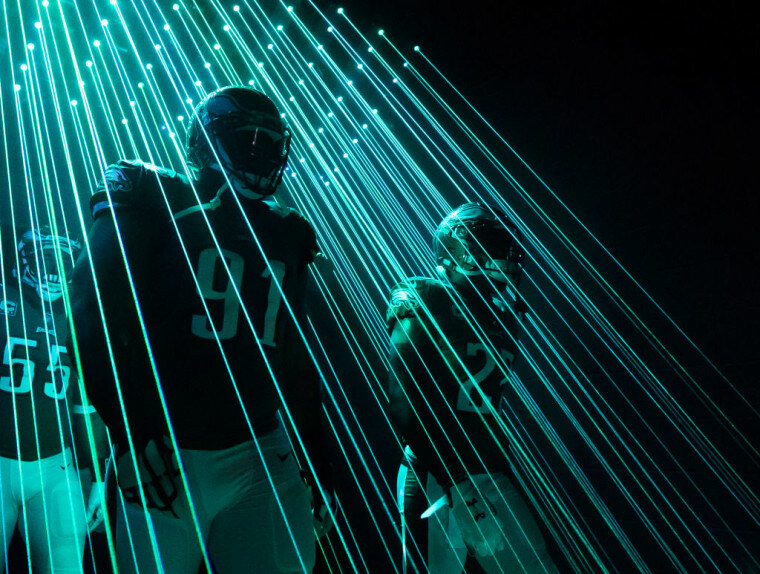 The Eagles got revved up to it at a team meeting before last week's game against the Minnesota Vikings, and played it just before and immediately after they trounced the team 7-38. "It just gets us going," Derek Barnett of the Eagles told NFL.com. "It gives us good energy. Just a little extra juice." 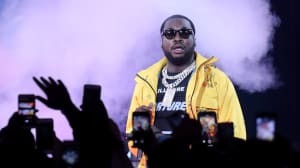 Meek Mill, currently serving two to four years in prison for violating his probation, has voiced his appreciation for the Eagles' adoption of the song. "It really lifted my spirit to hear the team rally around my songs because that's why I make music—to inspire others and bring people together," the rapper said in a statement. "The Eagles have also motivated me with the way they've overcome tough situations and injuries to succeed this year." Yesterday, Meek Mill's attorney Jordan Siev discussed the rapper's trial with Angie Martinez on Power 105.1. Meek Mill's legal team have filed two motions of recusal against Judge Genece Brinkley: one which claims that she has taken an "inappropriate interest" in the rapper's selection of management, and another which cites a reported FBI investigation into her conduct. Watch the music video for "Dreams And Nightmares" below.